The Automobile Club of Southern California has opened a new branch in the Mid-Wilshire area to help serve growing membership in Los Angeles. The 6,756-square-foot office is located at 5126 Wilshire Blvd. and will serve Auto Club members living and working in the area. 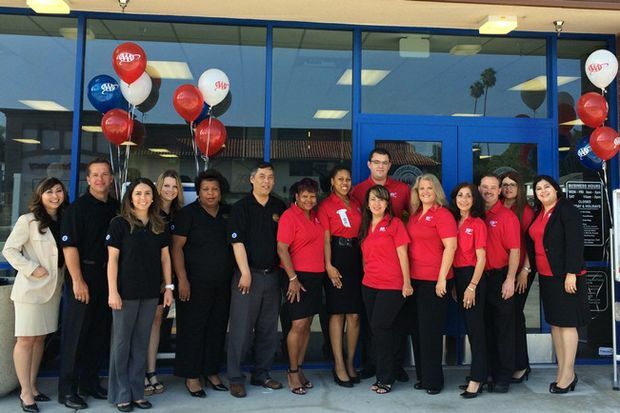 The new branch offers insurance, travel and automotive services, including most vehicle-related DMV transactions. Branch hours are Monday through Friday from 9 a.m. to 5 p.m. and Saturdays from 10 a.m. to 2 p.m., and the branch phone number is (323) 857-5100. For access to Auto Club services (except DMV) at any hour, residents can visit AAA.com. Auto Club members and the public can use AAA Travel services at the new branch to plan tours and cruises, make worldwide and domestic airline reservations, book hotels and car rentals and obtain rail tickets and foreign currency. International travel services include passport, visa and customs information; low-cost passport photos; International Driver’s Permits and Mexico automobile insurance. Members receive special travel benefits and discounts, including complimentary TourBooks®, Trip Tiks®, and maps for auto travel. The new branch includes a staff of experienced insurance sales professionals who can provide auto, watercraft, homeowners, life, umbrella and renters insurance services, according to Insurance Business Manager Justin Roberts. Other available insurance services include policies for rental properties, small businesses and collector cars. Members can also ask about I.D. theft monitoring services.